Monarch Air Group provides private air charter in Martha’s Vineyard, MA. Our clients benefit from top-notch service, unrelenting dedication to safety, wide selection of aircraft, and years of experience in chartering private jets. To obtain a free quote, please use our online quoting tool provided below, or call toll free 1-877-281-3051. Monarch Air Group offers private jet charter services to and from Martha’s Vineyard, MA, USA. Martha’s Vineyard is a resort island off the coast of Massachusetts, located just 7 miles to the south of Cape Cod. It is the largest island in New England, which has six main towns: Tisbury, Edgartown, Oaks Bluffs, Chilmark, West Tisbury, and Aquinnah. The island was discovered by the English in the 17th century, and during the 18th and 19th centuries was brought to prominence by the fishing and whaling industry. 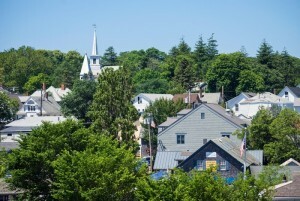 Martha’s Vineyard is the premier holiday destination, which attracts wealthy families, celebrities, and prosperous tourists from all over the world. Martha’s Vineyard boasts gripping natural beauty, historic whaling towns, pristine sandy beaches, charming fishing villages, and picturesque tourist attractions like and Edgartown Lighthouses, the Gay Head, East Chop, the Flying Horses Carousel, the Aquinnah Cultural Center, the Mytoi Garden, the Felix Neck Wildlife Sanctuary, the Martha’s Vineyard Museum, and the Polly Hill Arboretum. Martha’s Vineyard offers a great variety of outdoor activities including biking, hiking, whale-watching, kayaking, deep-sea fishing, snorkeling, and scuba diving. Martha’s Vineyard is one of the top tourism destinations in Massachusetts that can be reached by ferry or plane. It is served by Katama Airpark Airport (1B2), along with Martha’s Vineyard Airport (MVY).